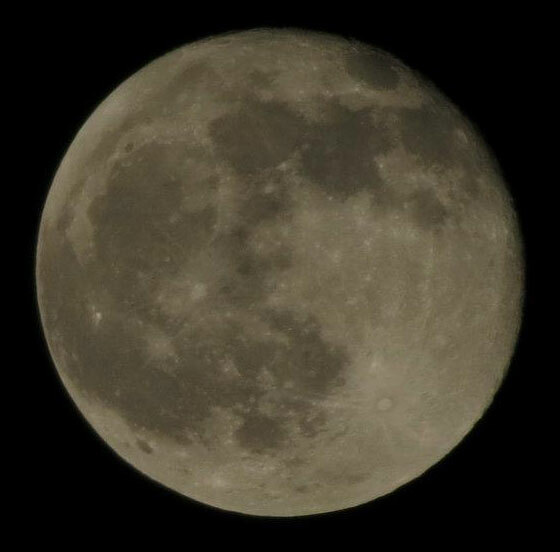 One of our Facebook fans, Katie Schmidt, kindly submitted some nice photos of the Moon to share with the Name A Star Live community! We’re sharing these images with our followers on Facebook, Twitter, Pinterest, Tumblr and Google+. Consider sharing your photos as well! Maybe a photo of the Moon rising over the horizon. Or a photo of the stars you took on a family vacation. Or if you’re really into astronomy, a photo you took through a telescope! Just send your photo(s) along to us at cs1@NameAStarLive.com. If we like them, we’ll share them too! What a creative use of the Moon! The full Moon. Those big, dark areas are the “maria” — the “seas” — of the Moon. 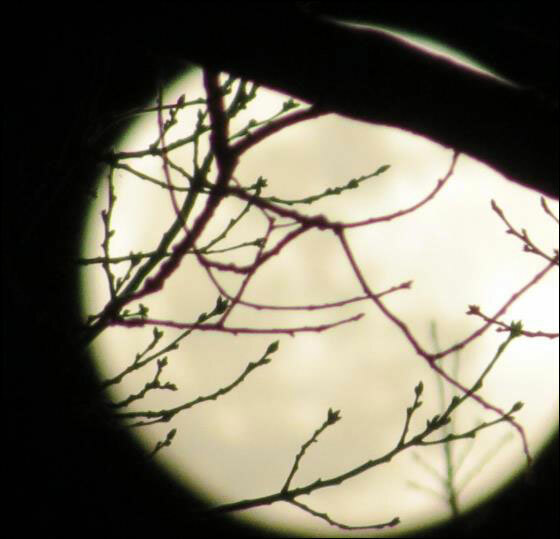 This photo shows a “waxing gibbous Moon,” which means the Moon is past First Quarter and is approaching Full Moon. 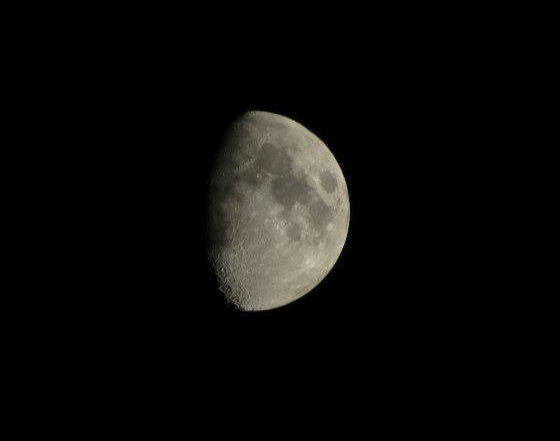 Here, we’ve taken the liberty of highlighting the Apollo 11 landing site on Katie’s photo of the waxing gibbous Moon. The “Sea of Tranquility” is the dark area just above, and to the right of the yellow circle.